in the 1950s has caused something terrible to happen. in the nearest bucket of hyena offal. this mindless piece of crap. 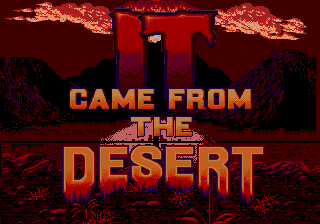 The port of th amiga/pc engine cd game. i prefer the PC engine CD version and its way better than this junk. its almost impossible to beat this game! AVOID! 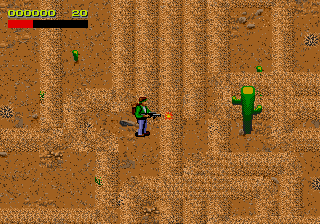 Love this game, every last moment is a mindlessly brutal near-death assault against a hoarde of ants, sands, super-hard bosses and a rapidly collapsing timer. I've played countless arcade/action games, but this is one I can actually remember the name of, even if it took me around 50 times to pass the first screen.